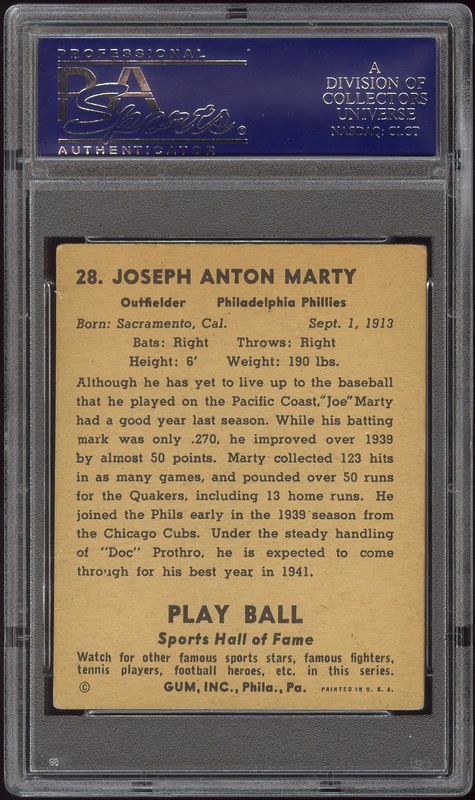 Additional Information: The cards in this set are extremely similar to the 1940 Play Ball issue, with the primary difference being that the cards use colorized black and white photos. 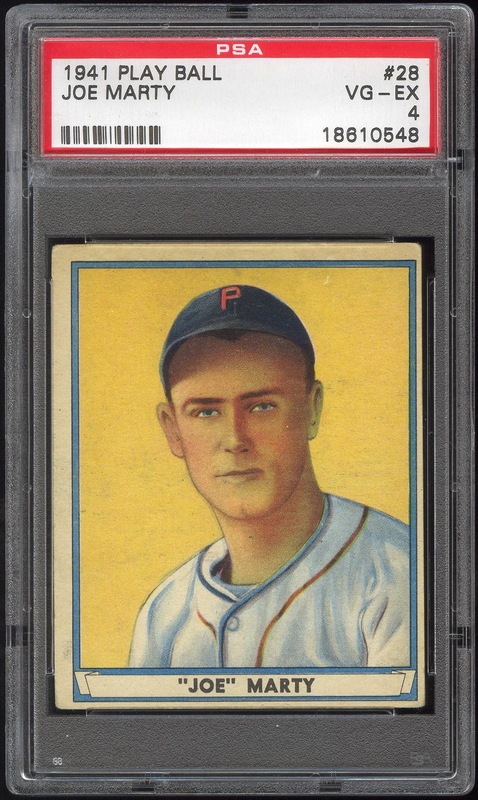 In fact, the Pinky May and Chuck Klein cards use the same photo as the cards in the 1940 set. Joe Marty’s card, however, does utilize a different photo from the year before.